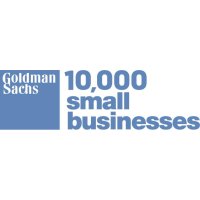 Valuable training opportunity offered FREE to small business owners in New Hampshire: Goldman Sachs and the Community College System of New Hampshire, announce the second cohort of 10,000 Small Businesses in New Hampshire. 10,000 Small Businesses is a business and management education program that works with community colleges across the country to deliver the program. The program targets existing small businesses with the education they need to grow in today’s economy. If selected,this 3 month program offered at no cost to the business owner. More details on who should apply and what to expect can be found here. To apply please visit www.10ksbapply.com/NewHampshire by March 11th 2019 for the upcoming classes are scheduled to run in May, June and August 2019.